New Delhi, Jan 3 (IANS) The ICC World Cup song "De Ghuma Ke", a peppy foot-tapping number composed by Shankar-Ehsaan-Loy, has already become quite popular within barely two days of its release, judging from the many hits it has got on YouTube. Many who have heard the number say it is notches above the Commonwealth Games anthem. Released on New Year's Day, the song has already got around 7,000 hits on YouTube. Lyricist Manoj Yadav has peppered "De Ghuma Ke" with commonly used Hindi terms like, "aare paare" (this way or that), "guthi gutham" (fisticuffs), "juta hausla badla faisla" (buck up and change the game) and "jiyo khiladi wah re wah re". 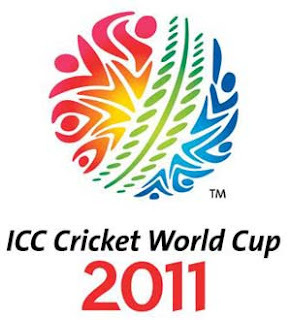 The World Cup is starting Feb 19 and India is co-hosting the event along with Bangladesh and Sri Lanka. The song will be performed at the opening ceremony in Bangladesh. "De Ghuma Ke" will also be dubbed in Bengali and Sinhalese. "We are very proud that we got the opportunity to make this ICC World Cup song and along with O&M (Ogilvy and Mather) and our lyric writer Manoj Yadav, we composed the song. This is for three countries. It's going to be dubbed in two languages," Shankar, who has sung it with same 'josh' with Divya Kumar, told IANS. "We were looking at various ideas to determine what direction we can take because we wanted to make a fun song, a dhamaal song on which people can dance, they can sing and we wanted to use more of a colloquial term, which was an idea that came in late. Initially, we were looking at a regular dance song and by chance we coined this phrase 'De Ghuma Ke'. Everyone got excited and said why not make a song around the phrase," said Shankar. "'De ghumake' is a term used in gali cricket, regular cricket, even when Sachin Tendulkar hits a six, we use this term sitting in our houses. It's a very commonly used term in our country, so we used it. It's a fun song. We wanted the direction of the song to be slightly rural, slightly ethnic and just wanted it to be slightly rural and new," said Shankar, a great fan of Tendulkar, Anil Kumble and Rahul Dravid. Shalini Kumar says she has fallen in love with the song ever since she heard it on YouTube. She and her friends feel that "De Ghuma Ke" is much better than the Commonwealth Games anthem, which "lacked punch". "'De Ghuma ke' is a fun number and it can be compared to Shakira's 'Waka Waka'," Kumar told IANS. Shankar has composed hit numbers like "Desi Girl", "Koi kahe kehta rahe" and "Jhoom barabar jhoom barabar".